I would be a bit wary about that £9.99 deal from an Amazon Seller. The price sounds too good to be true to me. Which might explain the long delivery time and the extra delivery charge. Please let us know how long it takes for your loo paper to arrive and whether the quality is up to Andrex UK standards. If all's well it would be a fab deal! Sharyn - wait till my order comes, let you know if it's ok.
Johnny - thank you for the pointers Johnny. Did some research Kimberly-Clark who manufacture Andrex do have a branch in India. Let you know what the quality is like when it arrives. Great price on s and s, shame it fluctuates in Price month to month but with free delivery and option to cancel anytime I can not complain. 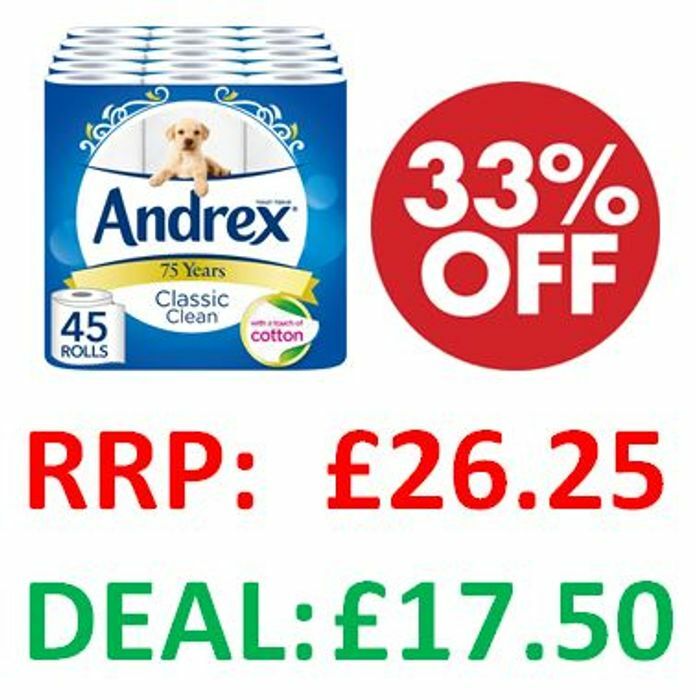 Email from Amazon, 48 Andrex toilet rolls, supplier Healtheon Care. With delivery = 0.31p per roll. The above offer = 0.38p per roll.